This is Todd. He's overweight. Which makes him an average American. What's average? Todd is a U.S. male between 30 and 39 years old. 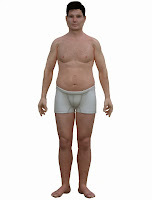 His body mass index (BMI) is 29, one unit shy of the medical definition of obese. He's five-feet-nine-inches (175 cm) tall, his waist is 39 inches (99 cm). As the issue of health care continues to plague the U.S., this article in The Atlantic magazine seemed curiously relevant to the country's future economic, as well as social, well-being. 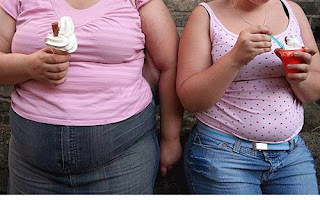 You've heard or read about the obesity epidemic, both in the U.S. and, increasingly, the world. U.S. obesity rates have doubled since 1970, to over 30%, and more than two-thirds of Americans are now overweight. People that are overweight have higher chances of contracting many serious diseases – including coronary heart disease, stroke, type 2 diabetes, osteoarthritis, and high blood pressure – than leaner folks. A higher percentage of overweight workers in a society increases both the direct medical costs (e.g. more expensive treatment) and indirect costs (reduced productivity, more days lost to illness or rest, restricted activity, and lost income from injury or death). In 2008 dollars, these costs totaled around $147 billion in the U.S. alone. But what does this mean for your average person, like Todd? 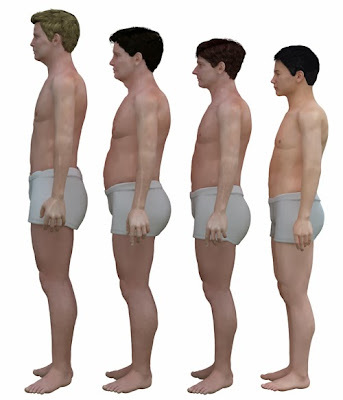 Here are the physical depictions of "average" men in four countries: the U.S., Japan, Netherlands, and France. Not a globally representative group, unfortunately, but they do differ. 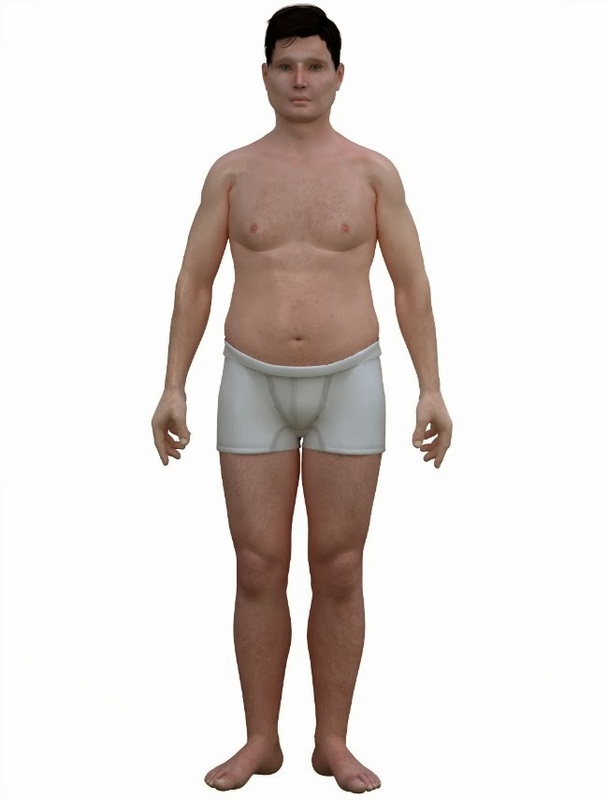 They were generated by artist Nickolay Lamm using the average heights, weights, and BMIs of men in these 4 countries. (The images focus on average body measurements, rather than face, color, or distinguishing features). What is BMI? Here's an explanation and a calculator, with a reminder that the index was not designed to assess very active people or make medical diagnoses! 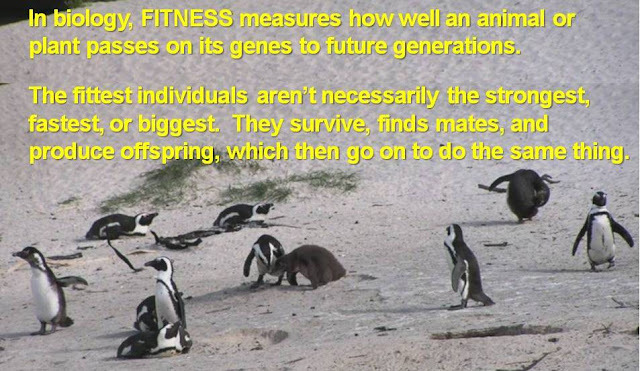 Changing lifestyles for the worse? As lifestyles and diets have changed over time, so have relative heights of men from these various countries. Both Dutch and Japanese men are taller, on average, than they were 25 years ago. Americans, more so than the others, have grown softer and rounder. According to The Atlantic article, "Fifty years ago, American Todd would not have been round." This trend, however, is not unique to Americans, nor to men. Research in the U.K. has shown that even where people continue to be physically active, they are eating 1/3 more calories than they did 25 years ago, and their "weight levels have rocketed." eating more = heavier folks in the U.K.
How can we help Todd (and his lady friends Tina and Terri!) slim down and tighten up? C'mon, have a guess! Yes, I'm afraid, diet and exercise,particularly the diet part. It's not just a shameless plug for my earlier posts, it's Important. The infections and injuries that killed most of our early ancestors (as well as, for instance, chimpanzees, today) have been replaced by chronic, non-communicable diseases, such as cancer and diabetes, that were rare even among the elders of early human societies. Japanese men and women live longer than people in other countries, in part due to a relatively low-fat diet and corresponding lower rates of heart disease, a chief cause of death in western countries. For more on the health and economic effects of the prevalence of obesity in America, watch the documentary, The Weight of the Nation – or at least the trailer – for some sobering stats and predictions. The complete set of images and some details on the average man's measurements are at a post by the artist, Nickolay Lamm. And what about you? Are you average? For what country? Very informative post about Height growth and I will like to share: Studies have shown that the heels stretch and strain calf muscles that become shortened, causing muscle fatigue. A three-inch heel causes the pelvis to tilt forward 10-15 degrees, disrupting the body’s natural posture. So while a pair of animal print stilettos will turn a couple of heads, it is best to use this remedy sparsely. Habits that have been running for many years and has become part of your life, for example a toothbrush. Every morning you brush your teeth without ever thinking "Today I do not brush?". Increase your weight as well due to bad habits or your habits. Starting from the habit of poor food choices, including the lack of activity. The problem is, it makes your habits slowly but surely going to raise the weight. The increase is slow and sometimes did not realize until you finally feel our clothes will not fit all and the doctor says you need to lose weight because you have symptoms of heart disease. For example, you may set your fleeting objectives on doing home fitness exercise somewhere around four times each week and your long haul objectives to doing home fitness practice routine for a half year. Is this red panda playing? Sleep for health, not just beauty! We got out of the food chain!